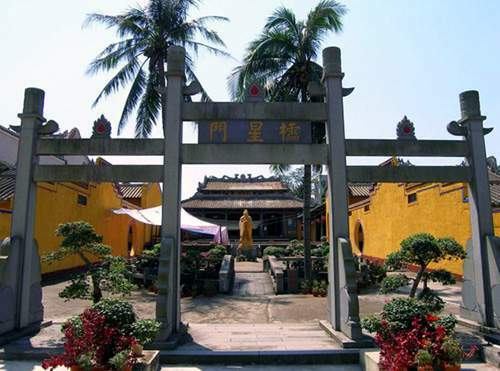 Xitian Temple (xī tiān miào 西天庙) is located in Haikou City (hǎi kǒu shì 海口市) of Hainan Province (hǎi nán shěng 海南省). It covers an area of 1193 square meters. It was originally built in the Ming Dynasty (míng cháo 明朝). All the architectures in Xitian Temple are made of wood and bricks. Pillars and beams are decorated with beatiful pictures and carvings. Wanquan River (wàn quán hé 万泉河) is lying on the east part of Hainan Island (hǎi nán dǎo 海南岛). It is the third longest river in Hainan, and is 162 km long. It rises in the Wuzhi Mountain (wǔ zhǐ shān 五指山), and flows generally northeast turbulently in a narrow route through mountainous regions. About half way downstream, it enters Qionghai (qióng hǎi 琼海). Here the river bed widens and the water flows gently, and on the banks are mostly coconut trees and banana plantations. For its last 30 km, the river makes a southeast turn, and before it empties into the South China Sea at Bo'ao (bó 'áo 博鳌), where it joins the Longgun River (lóng gǔn hé 龙滚河) and Jiuqu River (jiǔ qǔ jiāng 九曲江) in a common estuary. Wuzhi Mountain (wǔ zhǐ shān 五指山) is located at the center of Hainan Island (hǎi nán dǎo 海南岛). It is the highest mountain in Hainan. 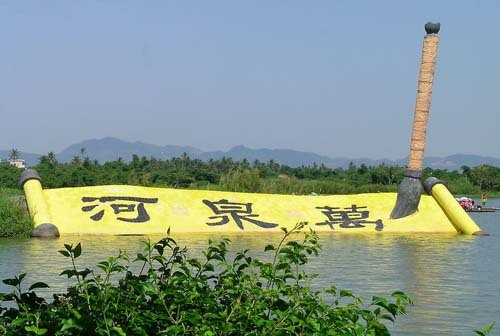 And it is regarded as one of the symbols of Hainan and also one of the famous mountains in China. 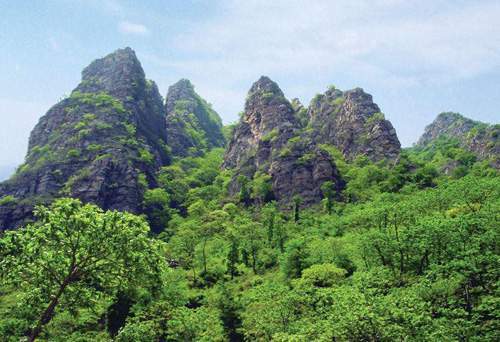 The peaks are waving like saw-tooth and the shape is like five fingers, hence the name Wuzhi. 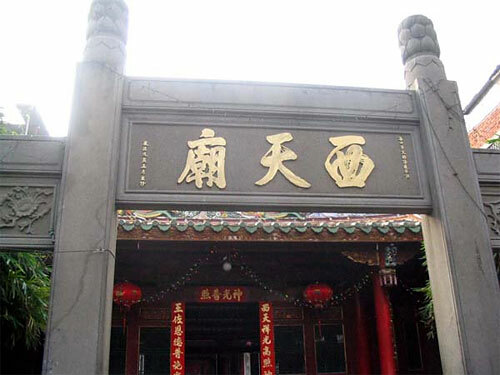 Wenchang Confucius Temple (wén chāng kǒng miào 文昌孔庙) is located in Wenchang City (wén chāng shì 文昌市) of Hainan Province (hǎi nán shěng 海南省). It was originally built in the Northern Song Dynasty (běi sòng 北宋), and relocated to Wenchang in the Ming Dynasty (míng cháo 明朝). It is the best preserved ancient architecture in Hainan, and it is also the most unique tourist attraction in South China. It is crowned as the No. 1 temple in Hainan. 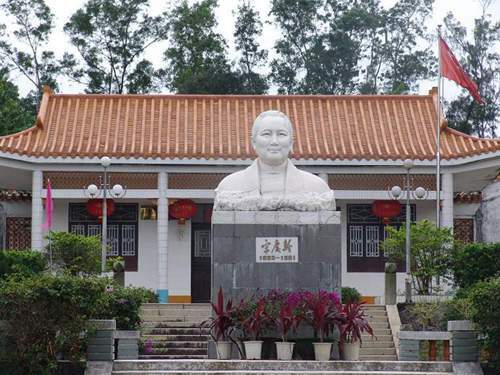 Former Residence of the Songs (sòng shì zǔ jū 宋氏祖居) is located 30 kilometers away to Wenchang City (wén chāng shì 文昌市) of Hainan Province (hǎi nán shěng 海南省). It is the former residence of the Song family.